In our continuing effort to expose the foundations of Open Source Judaism in Jewish source texts, we have made a transcription of Rabbi Ally Ehrman’s 2009 shiur (lesson) explaining Rabbi Yitzḥok Hutner’s ראש השנה מאמר ב “Rosh Hashana Ma’amar 2” (circa 1950s) published in Paḥad Yitzḥok, (a compendium of Rabbi Hutner’s teachings from the 1950s until his death in 1983). The ma’amar is an explication of the verse in Proverbs and familiar to anyone that sings Eyshet Ḥayil before the Sabbath evening meal, “She opens her mouth with wisdom, and a loving-kind Torah is on her tongue,” (Proverbs 31:26). The ma’amar weaves ideas by the Maharal from Gevurot Hashem (6:4) commenting on the gemarah in Talmud Bavli Sukkah 49b that the meaning of Torat Ḥesed (loving-kind torah) is a torah learned with the intention of being retransmitted. Via the MaHaRaL, Rabbi Hutner teaches that this effort in giving is an act of loving-kindness whereby a new work is made freely and shared completely without any diminution of the source, the giver, or the recipient. Parallel teachings can be found in Rabbi Yisroel Meir Kagan’s Ahavat Ḥesed (1888, chapter 22) wherein he argues for creating community lending institutions for sharing property on the basis of gmilut ḥasadim, acts of lovingkindness a/k/a G’MaḤ. See also Rabbi Yehudah Aryeh Leib Alter’s d’var torah on Parshat Terumah wherein sharing Torah learning is described as a transaction whereby both parties are enhanced and none are diminished. This post should be seen as complementary to our sourcesheet: ‘Make yourself into a maqom hefker’: Primary sources on open-source in Judaism. א. פִּיהָ פָּתְחָה בְחָכְמָה וְתוֹרַת חֶסֶד עַל לְשׁוֹנָהּ׃ (משלי ל״א כ״ו). וכי יש תורה של חסד ותורה שאינה של חסד אלא תורה ללמדה זו היא תורה של חסד שלא ללמדה זו היא תורה שאינה של חסד (חז״ל). So now we have to understand, says Rebbi Yitzḥok Hutner, what’s this idea of Torah of ḥesed. שהרי מושג החסד ישמש בכאן בתור שם התואר לגוף החפצא דתורה. Like if someone reads a book to a blind person to be teaching him Torah, then it’s also ḥesed since he’s blind and can’t be reading it on his own? Rachmana litzlan (Heaven forfend). Oh no. This is not just Torah and ḥesed that just happen to become Torah. No. It’s the Torah that is defined as torat ḥesed. ואילו תורה הנלמדת לתלמידים לא קרינן בה תורה וחסד אלא שתורה זו תכונתה משתנית ושם לוי יש לה ותורת־חסד היא קרויה. What’s this torat ḥesed? If you’re doing it in order to teach, it has a new shem l’vai2 and it’s called torat ḥesed. It’s not just Torah AND ḥesed, it’s Torah that is itself ḥesed if it’s hanilmadat l’lamdah. So we want to understand what’s unique about this torat ḥesed — why it’s not just Torah and ḥesed that is coming together. It’s not torah and ḥesed. It is torah that is ḥesed. Why is it teaching the talmidim Torah, that learning in order to teach, is a Torah that is ḥesed? ב. הבטחת ההגנה לאברהם אבינו שנאמרה לו במאמר אָנֹכִי֙ מָגֵ֣ן לָ֔ךְ נתפרשה לנו מטעם המהר״ל דלשון מגן בכאן הוא לשון חנם דויצאה חנם מתרגמינן מגן. Avraham avinu was promised by Hakadosh Barukh Hu (HKB”H) that he was going to guard him, as it says anokhi magen lakh (Genesis 15:1) — I am going to guard you.3 And the MaHaRaL explains that magen [literally, “shield”] is lashon ḥinam (free), as it says d’vyatzah ḥinam (Exodus 21:11) — the targum [Onkelos translation of ḥinam, “free”] is magen.4 Magen means free. So that’s magen. magen shavya. Magen means “free.” So what does it mean anokhi magen lakh, b’lashon Free? כי מכיון שמדתו של אברהם היא חסד ושכרם של גומלי חסדים הוא שאוכלים הפירות בעולם הזה והם בחנם כי הקרן קיימת לעולם הבא. Since the midah (attribute) of Avaraham Avinu is ḥesed, and the skhar (reward, payment) of the gomlei ḥesed (people who do acts of loving kindness) eat the fruits of their work in olam hazeh (this world), and they are b’ḥinam. In other words, you’re not losing out on anything. You’re not going to be lacking because hakeren kayemet l’olam haba — because the keren which is the principle will remain l’olam haba (the coming world). So here you just get bonuses, but you don’t have to take away. The principle remains also in olam haba. And in this world you eat the fruits (peiros) for free. You don’t have to pay anything because the principle of your reward is waiting in olam haba. That’s the middah of ḥesed and we know that that’s the skhar of gomlei ḥasadim. So gmilut ḥasadim is skhar keren kayemet and we eat the fruit for free, and that’s the middah of Avraham Avinu. So therefore it says with respect to Avraham Avinu, anokhi magen lakh, I’m going to guard you lashon ḥinam because that’s his middah of ḥesed that he gets skhar ḥinam. ובא עוד על הפירוש הזה הוספת דברים ״ותבין עוד כי העולם הוא מחסדו של הקב״ה כדכתיב עולם חסד יבנה ועל ידי חסדו יוצאים לפועל התולדות בעולם ומזה תבין כי הדבק במדה הזאת יש לו קרן ויש לו פירות״. This is the word of the MaHaRaL, just translating. This world is of the ḥesed of Hashem, olam ḥesed yibaneh, and through the ḥesed of Hashem we have toladot— the outgrowth that is in this world, and therefore if you’re davek in this middah of Hashem of ḥesed you will have keren — you will have the principle — and then you will also have the peiros, the toladot. What did he (the MaHaRaL) mean? vav tatztumim. It’s very hard to understand. וביאור דבריו, הרי רואים אנו כי בענין הצמיחה וההולדה שולט הכלל של ״מכליא קרנא״ הרבה יותר פחות מאשר בשטחים אחרים. Explains the Paḥad Yitschok: we see that in this matter of tzmiḥa and holada— of sprouting fruits and giving birth and generating peiros, fruits — the rule of mekhalyeh karnah, that the principle is destroyed, is much less at work than in other areas. כל הפקת תועלת גורמת כליון כחותיו של העצם המועיל במדה גדולה לאין־ערוך יותר מאשר הפקת תועלת הצמיחה גורמת לקרקע עולם. Whenever you’re mefid toelet, when you get some benefit, that weakens the etzem, the source of this benefit, much more than when the ground produces fruit. Mashal le-mah ha-davar domeh. (To what may the thing be likened?) A person has an animal and a person wants to eat this animal, so what does this person do? He shechts the animal. Therefore he has some benefit. However there’s mekhalyeh karnah, now he doesn’t have a living animal anymore. This cow is no longer going to give milk anymore. The cow is now meat. That’s mekhalyeh karnah. However what’s this talk about producing fruit? You have a ground and the ground gives fruit but there’s no real mekhalyeh karnah. The ground is still a good strong solid ground. Like we see in the gemara, maybe it weakens the ground a little bit. But all in all at the end of the day we still have a good strong ground. And even there are peiros there’s not very much mekhalyeh karnah. Why is that? Why when you talk about tzmiḥat hapeiros, is there less mekhalyeh karnah, the ruining of the principle, then there is in other areas of life? Why is that? Another example. Say you have a tree and you want wood. Do you want to make a table? So this table, you’re right it’s gevaldik, it is going to produce a nice table. However, it’s mekhalyeh karnah. Now you no longer have trees that are producing fruits. So again only with respect to the actual production of fruits, i.e., the ground produces fruits and then you take the fruits, there’s very little mekhalyeh karnah. Whereas in other areas, like the two examples we gave, there’s a lot more mekhalyeh karnah. Why is that? והיינו משום שבעולמנו אנו, פעולת הצמיחה וההולדה היא הקרובה ביותר אל יצירת בראשית של יש מאין. Explains the Paḥad Yitschok: because in our world the peulah of tsmiḥa and holadah, the peulah of sprouting and producing, is very close to yetzirat breishis of yesh me’ayin — of something coming from nothing as Hashem created the world. לאחר שנתחדש העולם ההתחדשות היותר גדולה היא צמח חדש או ולד חדש. After the ḥiddush (innovation) of the World, the greatest ḥadshis is a new plan, a new growth, a flower, tree, vlad ḥadash — or a child. ובה במדה שאנו מתקרבים לתחום היצירה של יש מאין, בה במדה הולך ופוחת הכלל של ״מכליא קרנא״. Since having a new child or producing a tree is closest to the realm of Yesh Me’ayin (something from nothing) therefore there’s going to be the least mekhalyeh karnah. So too when a person has a baby, when a man and a woman produce a baby, there’s no mekhalyeh karnah.The same strong guy and now from him is produced a baby and from his wife is produced a baby but there’s no mekhalyeh karnah. והוא הדין והיא חמדה בעולם הרוחני של עבודת השם. Because we’re in the realm of Yesh Me’ayin or as close as possible as we can get to it in this world, and therefore just like when Hashem created the world there was no mekhalyeh karnah the principle, the Creator, of course, was in no way mitigated, diminished, made smaller, made weaker, so too when we come close to the realm of Yesh Me’ayin, i.e., with a new fruit or a new child there’s going to be very little mekhalyeh karnah, and the same applies in the spiritual world of aveidas hashem (sacred work/divine service). This olam ḥesed yibaneh. And through the middah of ḥesed, the whole briah (creation) comes min hayin elam yesh (something out of nothing). So this middah [of ḥesed] is mufgah l’gamreh (completely severed) from the inyan (matter) of mekhalyeh karnah. והאדם המתנשא למדרגת צלם אלקים ונעשה ליוצר־פועל של. מדת החסד בעולם, מתן שכרו הוא בתכונת יש מאין, דהיינו שאין הפירות מפחיתין את גוף הקרן ולא כלום. והאדם אוכל פירות בעולם הזה והקרן קיימת לו לעולם הבא. In the world of ḥesed there is no mekhalyeh karnah and the person who elevates himself to the madregah of tzelem elohim (Divine Likeness) and becomes a creator of middat haḥesed in the world, his matan skhar is going to be like Yesh Me’ayin, that the peiros are not in any way going to diminish the principle. A person with the world was created with ḥesed. There was no mekhalyeh karnah. So too when a person does an act of ḥesed his reward is also going to be lo mekhalyeh karnah, i.e., even though there’s going to be fruits, it’s in now way going to lessen the principle. He’s going to eat the fruits in this world and the principle in olam haba. And Avraham avinu was a merkava (divine chariot) of the middah of ḥesed of above. To him specifically the promise was stated that his skhar is going to be very great. דהיינו שלא יצויר ששכרו יתמעט, משום שאנכי מגן לך, אני נמצא לך בחנם, ורבוי הפירות אינו במחיר הפסד הקרן כי קרנך קרן קיימת היא. It’s not possible that his skhar would be any less anochi magen lakh — “I am found for you b’ḥinam.” The ribui ḥesed that I am going to give you, when I give you ribui peiros, that is in no way going to lessen the skhar. Because that’s your middah. You’re the man of ḥesed, Avraham Avinu and therefore when I give a reward, that reward is going to be b’chinas ochel perioseihim b’olam hazeh bkeren kayemetz l’olam haba… in this world and the next. Avraham Avinu is our father. That’s Avraham. You’re going to be Av (father) among goyim (nations). The essence of Avraham Avinu is Father. נובע הוא מתוך דרגא זו של אנכי מגן לך. This flows from the madrega (spiritual attainment) of anokhi magen lakh, that I am guarding you, that I am going to give you reward, b’ḥinam, that you’re going to get the reward and you’re not going to lose out by getting the reward. That is from this flows, in other words Avraham Avinu flows from the madrega of anokhi magen and we learn this from what the rabbis call the first brakha: birkhot avos. וקבעו בה את החתימה מגן אברהם, ומפורש כנ״ל דדרגא זו דמגן אברהם מהווה את התוכן הפנימי של אבהות האומה. והסברת הדברים צריכה להיות ע״פ המהלך הנ״ל. We see from this, this madrega, magen avraham, is the tokhen hapnimi, is the deeper meaning of being the father of the nation. Magen Avraham — we always translated it as Shield of Abraham. No. It is also free. Magen means free. We see magen that’s what the word’s based on. It’s based on the pasuk anokhi magen lakh. Magen Avraham. So the brakha is called the brakha ha-avot. And you know what does it mean to be Av? To be an av means ḥinam. You’re going to get a reward in this world, and it’s not going to subtract from your reward in the next world. That’s what your fatherhood means. What is the p’shat? So we have to explain what we said earlier. Because whenever you talk about Avot, like it says in the beginning of Bava Kama (2a, 5a), avot mekhlal d’ika toldos, if there are Avot then there are also children.8 And the avot of the Jewish people, in other words, the root of kedushas yisroel, these avos are the root of kedushas yisroel that will never stop creating peiros. Like it says in the gemara in Shabbos: bris avot lo tama.9 So when you talk about avos ha-uman, when you talk about forefathers, you talk about people making more and more and more peiros. They are never going to stop because kedushas yisroel is eternal. And this is impossible unless you say that keren is kayemet, that the principle will remain. The avot aren’t getting any weaker. The spring will continue to flow. The only way you can talk about a ribui peiros, that there’s constant fruit that never ends, is if the shoresh, if the root, doesn’t get weaker and therefore can give constantly new fruits, and that, sweetest friends, is Avraham Avinu. Since Avraham is going to be constantly in the avot, or constantly giving new fruits, he’s not getting weaker. That’s magen. That’s for free. They’re going to get lots and lots of peiros but the keren but the principle of Avraham Avinu himself is kayemet. He’s not going to get any weaker. He’s going to get all of these tolados and he’s going to remain just as strong. Brilliant. Brilliant. And that’s the darga (spiritual level) of anokhi magen lakh. The growth of the peiros is free and it doesn’t cost anything and subtract from the ḥiyut (vitality) of the root. ועל כן דרגא זו היא החותמת את ברכת האבות. This level is what seals the brakha of avot. Because that’s what avos is. Avos is constant peiros without any subtraction of ḥiyus, of their own personal ḥiyus. More and more and more peiros. That’s magen avraham. That’s the definition of the avos. constant growth without any diminishing of the fruit. ושרשיה של צמיחה כזו נעוצים הם במדת החסד בעולם ובאדם. And the roots of this tzmikha (growth) are found in the middah of ḥesed, of the world and of man. Just like when the avos have tolados, they’re not weakened. More and more and more peiros without any mekhalyeh karnah. The principle remains intact. So too, in klal yisroel, the principle remains intact, and when HKB”H created the world, he created the world with ḥesed and we know the source of this ḥesed the principle ki byakhal HKB”H remains just as strong as he was previously. If we look deeper into the path of the MaHaRaL we will stand in a keren orah. We will have light and a ray of light. כי התכונה הפנימית של מדת החסד בטהרתה העצמית, היא השפעת טובה ותוספת מציאות מבלי חסרון במעין המשפיע. The deeper characteristic of the middah of ḥesed in its pristine purity is being mashpiah tova (a good influence) and adding to the metziut (reality) without any lacking in the spring that flows. In other words, ḥesed means giving and giving and giving, anokhi sarad in the giver. That’s the tnumat pnimit of ḥesed. ḥesed in the purer sense is giving giving giving keren kayemes. The giver lacks for nothing. And that’s what we said is HKB”H and that’s Avrahom Avinu and that’s having children. And that’s producing a child, I mean, and that is a — the ground lacks nothing. That’s what ḥesed is. ומה שאנו רואים בכל עניני העולם כי המעניק לאחרים משלו הרי הענקה זו מחסרת את המשפיע היינו משום שכאן באה מדת החסד בהרכבה עם ענין שבחוש ושבגשם, והרכבה זו היא המעכבת לבל תראה פעולת החסד בטהרתה בתור יצירה של תוספת מבלי גרעון. I already hear you saying to me. But how can you say that? A person does ḥesed: you bring an oleh into your house you give him breakfast now you have less food in your fridge. So it is a ḥisar (absence) and a maaniq (offer) and a mashpiah (influence) in the giver. The answer is that when we do ḥesed in this world. It’s really a combination of two things. ruḥniyut (spirituality), it’s a mitzvah. But it’s also gashmiyut (materiality) and since there is gashmiyut, we don’t see the Keren Kayemet. We see that we’re losing out on the keren. ואשר על כן בהצטרף מדת החסד עם ענין החכמה מתגלה בזה התכונה העיקרית של כח החסד, שלא די שאין הענקת והשפעת חכמה לאחרים גורמת חסרון במשפיע אלא אדרבה השפעה זו מביאה ברכה ותוספת בחכמה שלו. מתלמידי יותר מכולם. However, let’s say you talk about ḥesed in the realm of ḥokhma. So not only when in you’re in the realm of ḥokhma (wisdom) does one give over who gives over ḥokhma not lack for his own ḥokhma, but on the contrary he has tosefet ḥokhma (supplementary wisdom). He has additional measure of wisdom after he has shared his torah. As the rabbis say so beautifully, mi talmidah yotzer mikulam. You learn much from his rabbeim, more from his friends, and most from his talmidim. When a person teaches middot ḥesed with his torah, he becomes greater. Even though there is the middah of ḥesed as the koaḥ (inner strength), to be nistar (hidden) for every other inyan in the world, for every other matter in the world you can be a mashpiah good on someone everything else. You can always give. You can give anything. You can give them lunch, money, a pen. You can give somebody your car, so many things. The power of creation that the middah of creation has is rooted in the power of the creation of the world. olam ḥesed yibaneh. אינו מתגלה אלא בשעה שהחסד מזדווג אל החכמה. When do we see the root of ḥesed in the world? ḥesed in the purest sense? ḥesed without gashmiyut? That’s when the ḥesed comes along with ḥokhma. And when it’s ḥesed without gashmiyut, rabbotai, then it’s a ḥesed keren kayemet, the giver doesn’t lose, adarabbah, he’s enhanced. When a person has a baby yesh me’ayin, he’s enhanced, makes him greater ki biyakhol, ki biyakhol, ki biyakhol. adon olam asher malakh… but now he’s going to be called king. Because of this, torah that you’re learning in order to teach is torat ḥesed. It’s not torat mi-ḥesed that just comes together by chance. It just happens to be that this torah comes with ḥesed. No. This torah becomes a hefsa torat ḥesed. That’s the definition of this torah. It’s a torah of ḥesed because in this ḥesed, in this torah, we see true ḥesed. Because when we learn in order to teach, in preparing the shiur and giving the shiur, we become greater. We understand more, the [teachers] preparing the people learning the Torah, not only the talmidim. וערכי תורה חדשים הולכים ונוצרים במעין המשפיע דוקא ע״י זה שהוא מעניק ומשפיע, מטיב ומתחסד עם הזולת. פִּיהָ פָּתְחָה בְחָכְמָה וְתוֹרַת חֶסֶד עַל לְשׁוֹנָהּ׃ (משלי ל״א כ״ו). And new torah values are created and the spring of the mashpiah, davka through the fact that he gives and gives and gives, that he does good and ḥesed with his friend. In other words, now we understand why it’s called torat ḥesed, torat ḥesed because normally when you do ḥesed you lose out. You give the guy a loan you have fifty less dollars in your pocket. When it’s Torah, not only don’t you lose but you gain. Even though it’s a ḥesed and you’re giving to somebody, you’re giving to someone torah, torah umas l’lamdah, that you become greater. hakeren kayemet — the principle remains intact. and the principle gets even stronger. And that’s ḥesed in the purest sense as it was when Hashem created the world with ḥesed. And as we see in the avos, the avos are ḥesed that they keep producing more and more fruit, bris avos lo tama and yet they lack for nothing, adaraba they become enhanced, and that, sweetest friends is torat ḥesed, to be zokheh, im yirtzat hashem, not just to learn torah, but lilmod olam l’lamed torat ḥesed. We will see not only that we don’t lack but that we will gain. And that sweetest friends is something to think about Rosh Hashana, and it says in the Paḥad Yitzhchak on Rosh Hashana that Rosh Hashana is as we learned in a previous shiur is a day of ḥesed and as we explained there a different mihalekh on why Rosh Hashana is davka ḥesed. And now we’re expanding and we’re saying that that’s briyat ha’olam. briyat ha olam is yibanet ḥesed yibaneh. torat l’lamed. and there’s should be a special inyan on Rosh Hashana not only to learn torah during Rosh Hashana but to learn al menas l’lamed dimyon tzura l’yotzra to do this ḥesed and lack nothing for yourself, as HKB”H did when he created the world. We should all be zokheh im yitzat hashem akh tov vaḥesed al yimei ḥayeinu that HKB”H should just keep being mashpia, more and more ḥesed. zḥut zeh, zokheh l’karov mamash to the greatest ḥesed of all, ḥesed al rosheinu gviyat moshiaḥ tzidkeinu bimhera byameinu amen amen, sweetest and most beloved friends. Given that more than 50% of the Siddur is comprised of text from the תנ׳׳ך (TaNaKh) any project that seeks to rigorously attribute its sources depends on a critical, digital edition of the Masoretic text of the Hebrew bible. And such is the case for our Open Siddur Project. The entire history of the transmission of such a profoundly important sourcetext illustrates the degree to which we rely on each others most positive intentions to advance our love of the Torah through sharing — regardless of sect, creed, scholarly or theological inspiration. Moving ahead we are supported by each others gifts and by the preserved legacy of our cultural inheritance. The oldest complete manuscript of the TaNaKh is the Leningrad Codex (circa 1008 CE) prepared by the school of Aharon Ben Moshe Ben Asher. The grand project of Masoretes during the first millenia was preparing the text of the TaNaKh with their received tradition (masorah) of its annunciation and vocalization. Since these important oral traditions are not transcribed within Torah scrolls, the Masoretes preserved these traditions by writing out the complete text of the TaNaKh with vowels (nikkud) and cantillation marks (trope). The Tiberian system for marking vowels in the Leningrad Codex is the same system used in Hebrew today. This approval is all the more astounding considering Maimonides outstanding objections and disputations with the Karaites of his day. In the 1830s, Abraham ben Samuel Firkovich, a manuscript collector and ḥakham of the Crimean Karaite Jewish community, visited Constantinople, Jerusalem, and the Cairo Genizah in Egypt. During these travels he received possession of the Leningrad Codex, which was taken to Odessa in 1838 and later transferred to the Imperial Library in St. Petersburg. Used as the sourcetext for the Biblia Hebraica in 1937 and the Biblia Hebraica Stuttgartensia in 1977, the Leningrad Codex was digitized in the 1980s as a collaborative scholarly project organized by the Presbyterian Westminster Theological Seminary‘s J. Alan Groves Center for Advanced Biblical Research. The Groves Center decided to share the digital Westminster Leningrad Codex without restriction — a prescient and important decision made prior to the popularization of the Internet and the World Wide Web. Their altruistic decision continues to enable many innovative projects based on the text and study of the TaNaKh. The source of the Westminster Leningrad Codex that we are using for the Open Siddur Project were derived from sources shared by Christopher Kimball at tanach.us. The Internet Sacred Text Archive provides links to the full Westminster Leningrad Codex (with transliteration), here. The tragic story of the oldest but unfortunately incomplete Aleppo Codex (circa 10th Century CE) — the codex upon which the Leningrad Codex was first based and corrected against — provides a cautious lesson in contrast. 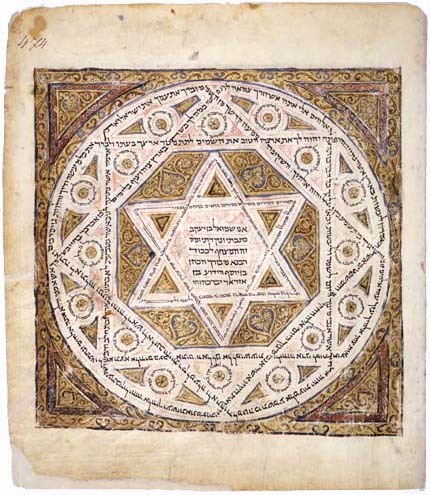 Similar to the Leningrad Codex, the Aleppo Codex was also preserved by Karaite Jews. It was then stolen by Crusaders, ransomed, and later transferred to the Syrian Aleppo community where it was hidden for six centuries and zealously guarded. While the Leningrad Codex was copied and shared at the onset of the Age of Photography, the opportunity to copy and thereby preserve the Aleppo Codex was lost. In the immediate aftermath of a deadly riot against Jews and Jewish property in Aleppo in December 1947, much of the five books — the Torah section of the Aleppo Codex — disappeared. Today, at the onset of the Digital Age, we must preserve the heritage of our culture’s creative inspiration by digitizing our collective work in open standard formats, and sharing the work so its transmission can easily be mirrored and redistributed without difficulty. 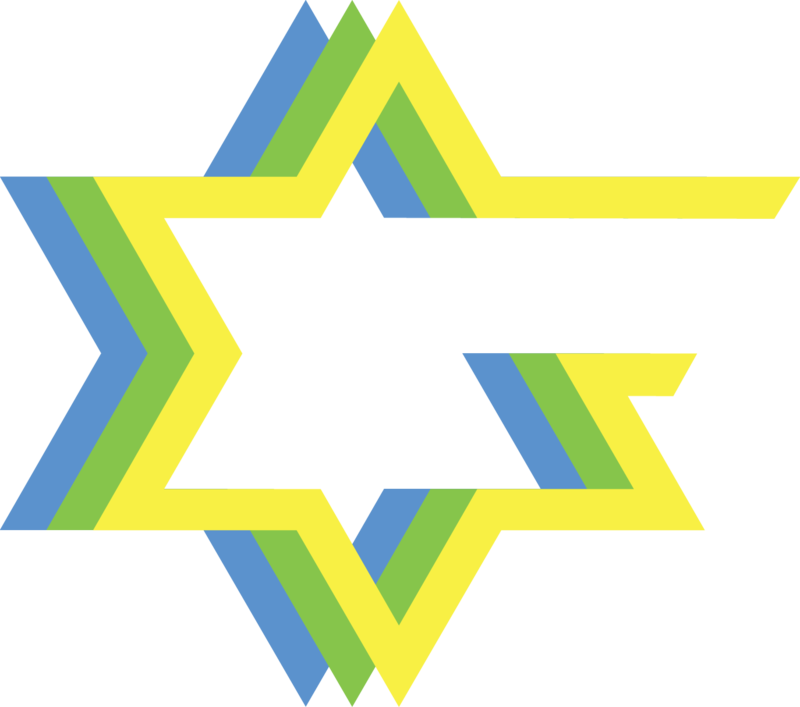 The Open Siddur Project is committed to preserving the legacy of our diverse communities’ creative inspirations and calls upon all those who love the Torah and earnest spiritual practice to serve their intentions through sharing their intellectual resources. If you represent an educational institution with copies of work in the public domain, please share digital images or digital transcriptions of this work with public domain declarations such as the Creative Commons Zero Public Domain declaration. For the preservation of our living tradition, the many surviving historic manuscripts witnessing variations of tefillot found in the Siddur, including the oldest surviving manuscripts of the Hebrew Bible, Dead Sea Scroll fragments, Jewish apocryphal and pseudepigraphal text, Cairo Genizah fragments, and the various girsot of the Talmud, need to be made available, freely for redistribution. There are two principles on which the success of data on the contemporary web rests: the web makes content available, and it adds value to that content by linking it to other related information. When considering bringing old content online, both of these aspects are important. A first level of digitization involves simply making data available. Google Books and Hebrewbooks.org work at this level, providing PDFs and/or OCR-ed transcriptions of the material. A second level of digitization involves semantic linkage of the data, both internal to the site and external to the site. The Open Siddur Project and Open Scriptures digitize at the semantic level. This second-level digitization is required to do all of the cool things we expect to be able to do with online texts: click on a word and find its definition or grammatical form, find the source of a passage in one text in another text, find how the text has evolved historically, etc. Even the simplest form of a link: a reference from another site, requires some kind of internal division. Digitization that takes advantage of the web therefore requires a number of steps: (1) getting the basic text online, (2) getting it in an addressable form (to make it more like typed text, instead of a picture of a page), (3) assuring the text’s accuracy, and (4) marking it up for semantic linkage. Some of these steps, or parts of them can be done automatically, but, overall, they require some degree of intelligent input. Even step 1, which is primarily mechanical in nature, requires design of the procedures. I hope that this outline of the required steps to getting a text online suggests that the most expensive part of making content available is human labor — it takes time to do it, and it takes even more time to do it right. How many times has the Tanach been digitized? … major commentaries on the siddur, Torah, Talmud (Rashi, Tosefot)? … full codes of Jewish law (Mishneh Torah, Tur, Shulchan Aruch, Aruch Hashulchan)? … uncommon piyyutim (liturgical poems)? In some cases, the answer is: it’s been done many times. In other cases, the answer is: it’s never been done. And, both answers lead the all-important question: why? Why are there so many digitizations of the Tanach and no full digitizations of Shulchan Aruch online? Why isn’t the siddur already hyperlinked to its Talmudic sources? I would propose that we have been wasteful with our resources. Earlier, I pointed out that the primary resources that go into these advanced digitizations are time and human labor. In some cases, these resources equate directly to money, in others, the linkage is more indirect. The core material of all of the above-mentioned works comes from the public domain. It is ownerless, and free for anyone to copy for any purpose. Every time we encounter a basic text that we have to digitize again because of “new copyright” claims or EULA-style contractual constraints, that is an indication of a failure somewhere in the system. This is particularly true if the claims are being made by non-profits, “social” businesses, or academic institutions. In the Jewish world, even for-profit published books are sometimes donation-supported. Each common text that has to be digitized a second, third, or hundredth time equates to another less common text that is not being digitized. Redoing basic OCR work and transcription takes resources away from establishing semantic linkages. Some people and organizations get it. As of now, we only need one digitization of the Leningrad Codex (Masoretic Bible). That’s because Christopher Kimball and the J. Alan Groves Center for Advanced Biblical Research digitized it, transcribed it, and released it as free data. The Westminster Leningrad Codex is now perhaps the most built-off version of the Hebrew Bible online. The base texts (which may be used “without restriction”) are present in both commercial and non-commercial products. The Open Siddur Project is using it both for its technology demonstrations and as the basis of all biblical texts in the siddur. There are precious few examples of free data in the Jewish community, even on the Internet. There are copious examples of donation-funded organizations presenting primarily public domain data with new copyright claims. Free data prevents the necessity of duplication of effort, which, in turn, prevents the community as a whole from unnecessarily wasteful spending. Particularly for organizations with a social mission, its use is a win for everyone.